Time sure flies when we're all having fun! "She made a lovely album with a beautifully embellished box for it." Please contact Deonna at TTCRDCoordinator@gmail.com no later than Monday, May 1, 2016 to claim your prizes and Guest DT spot! 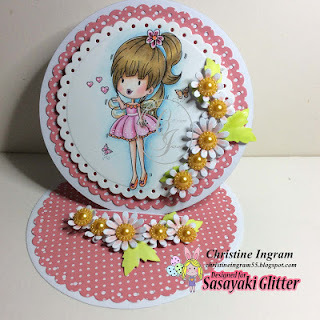 "Love her little Bugaboo image and the way she colored it, but wowza on the the snowflake embellies! And its on an adorable mitten shaped card! So cool - no pun intended!" 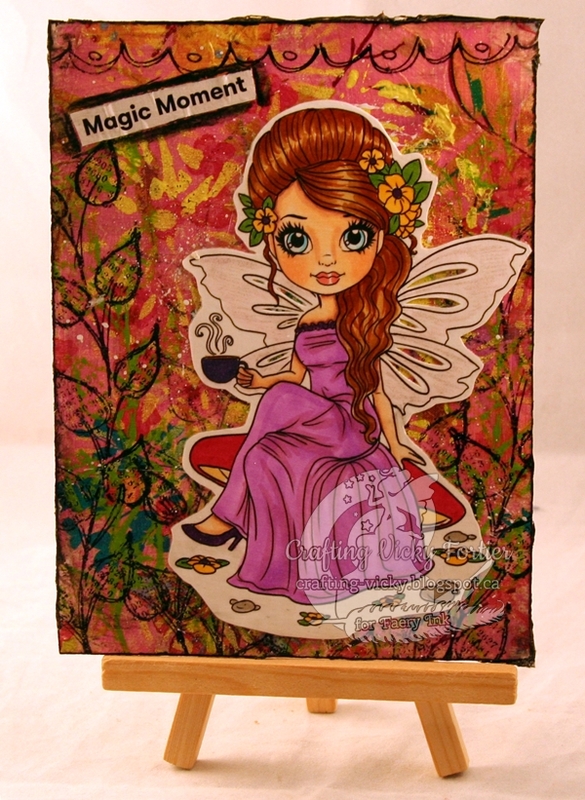 "I love the Watermelon colors of her card and Jen's Coloring is also awesome. Such a sweet image and sentiment." 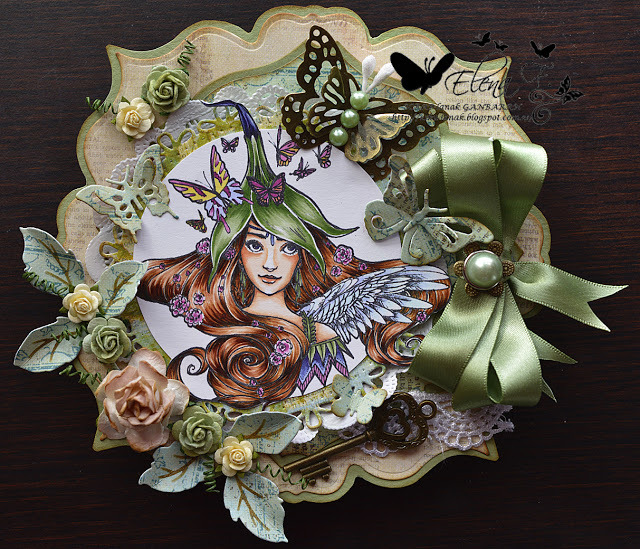 "One of my favorite things about this card is that Elena was able to take the image elements, such as the butterflies, and bring them to life! The butterflies and the flowers around the image are as part of the card as the image itself! What a lovely project this is!" Ladies, Congratulations and don't forget to grab your badges from the sidebar! Just right click over the image, save the image to your personal files and you can then upload to your blog side bar. 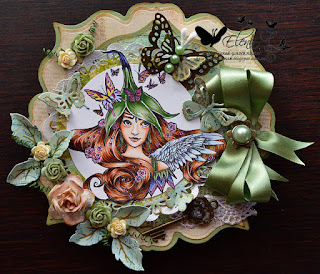 The weekly winners and top 3 picks are selected from nominations by the Design Team Members of Through the Craft Room Door and will be published in the upcoming May/June 2016 issue of TTCRD Magazine and will be placed in a drawing for a chance to win a $5.00 gift card to Amazon.com (or store of choice). If you are interested in having your projects published for a chance to win a gift card, please check out the tab above for more information or contact me at TTCRDmag1@gmail.com. Hi Everyone! Deonna Here, posting this week for Team A. On Behalf of Asmah, Cecilia, Karen, Sandy, Neha, Lisa, Sandra, myself and our Guest Designer Jerrie we would like to welcome you! Just a quick reminder that the winner of this challenge will be offered the chance to be a Guest DT in a later challenge. Winners and Top 3 picks will be published in the next release of Through The Craft Room door for a chance to win a $5 card. So you don't miss any future challenges and winner announcements, a "Follow by Email" link has been added to the side bar! Let's see what the team came up with to inspire all of us. 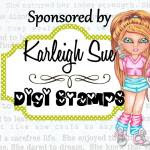 You could be the lucky winner of 2 Digital stamps from the Store. Now let's see what you will create!!! 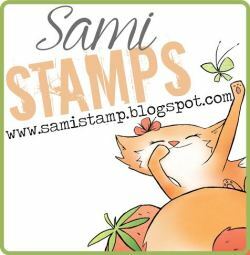 Many thanks to our awesome sponsor Sami Stamps who is offering a $12.00 gift certificate to her store! I love subtlety of the colors! 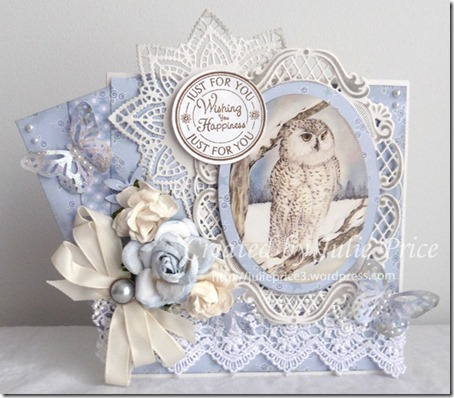 It gives this card a very elegant and classy look! Beautiful! Please contact Deonna at TTCRDCoordinator@gmail.com no later than Monday, April 25, 2016 to claim your prizes and Guest DT spot! She used a no line technique with her copics, and I was really wowed by her image. The ice cream looks real! She also refers to several artists and their tutorials on this technique. 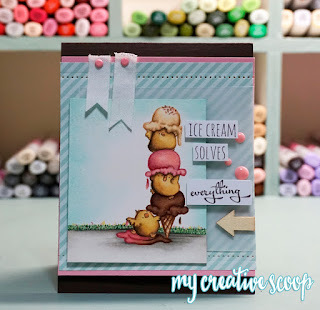 The shape and the papers on this card really stand out! Beautifully colored image also. Even though this is a simple card, I love the meaning behind it. The vintage photo of the family is deep and touching. I think she did a great job with this one. The March/April edition of Through the Craft Room Door is available in the Subscribers Only Area of the website. If you are not a subscriber you might want to reconsider! You are missing out on lots of great tutorials, articles and free digi images. Hello everybody, I'm Sandra, posting for Team B this week. Our mission is to inspire and enable everyone to create art! Alessandra said: The whole project has a fall feel to it, which I love. Also, the way she colored the image as Little Riding Hood was genius! She totally transformed that image into something unique. The 3D embellishments were spot on! All the elements in the project work together to create a truly beautiful work. 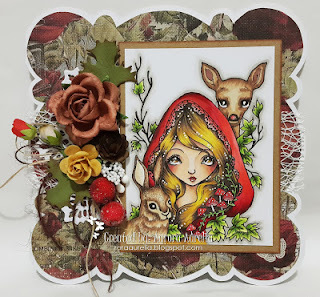 Katrina said: I love the woodland theme! The colors, coloring, and flowers are so beautifully rich. Please contact Deonna at TTCRDCoordinator@gmail.com no later than Monday, April 18, 2016 to claim your prizes and Guest DT spot! Lisa's pick: #31 Crafting Vicky - Love the way the background just pops out. Cool you tube vid too! 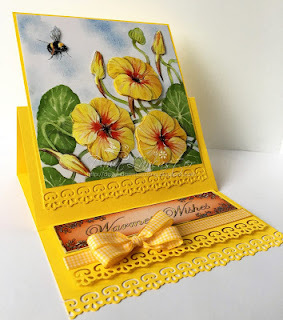 Sandy's pick: #57 Just Christine's Creations - She created a beautiful easel card, the coloring is wonderful and the flowers gives a 3 dimensional feel like she's in a garden. Cicci's pick: #51 Dawn Lancaster - A beautiful and colourful make and the sentiment panel is great! Fantastic Yellow!! Ladies, Congratulations and don't forget to grab your badges from the sidebar! Just right click over the image, save the image to your personal files and you can then upload to your blog sidebar.